The life cycle of a Jellyfish is mainly divided into four parts. When they are born they are called Planula Larva and it is the first part. Then they float around freely in the current until they find a surface to attach to. when they attach to a rock surface this is the second part of their life cycle. And then they are called Polyps - hollow cylinders with a mouth and tentacles at the top . The next phase is Budding Polyps. When a polyps grows bigger and become Cone shaped it is called budding polyps. At this point of time they are still attached to a surface. In the next phase budding polyps turn into Ephyrae and detach from the surface. Then they float around in the Ocean and after a few weeks they turn into a full grown Jellyfish. A adult jellyfish can live for 3 to 6 months. Jellyfish use their tentacles to catch the prey. They use their tentacles to paralyze the prey before they eat them. They eat fish, crabs, small sea plants, shrimps etc. Sometimes they eat other small jellyfish too. Jellyfish do not have brain or central nervous system, instead they have something called nerve nets which sense the changes in environment. Some jellyfish are immortal, why it is said because there are species that have the ability to travel backward to the polyp stage. A group of jellyfish is called a Bloom or Swarm. 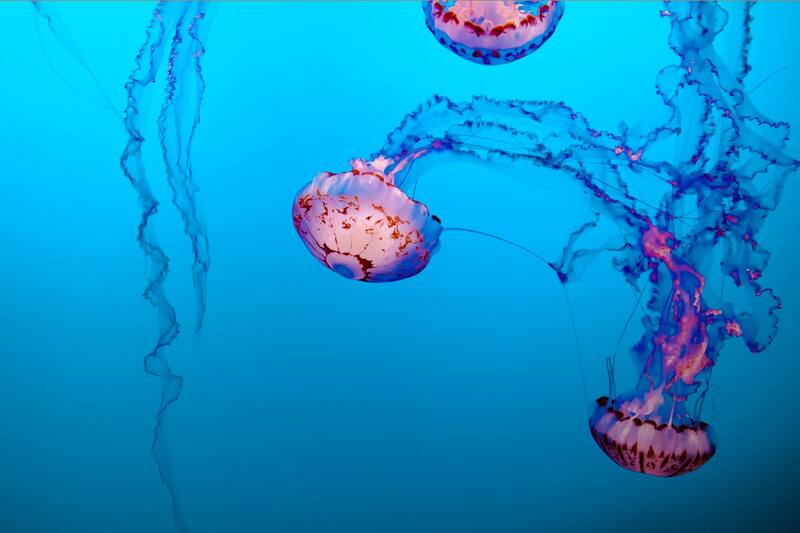 Jellyfish do not have a respiratory system. Their body is oxygenated by diffusion through thin skin. Thanks visit my blog as well.